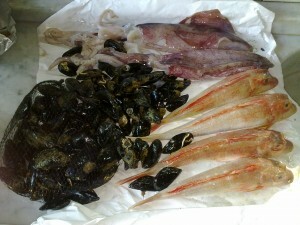 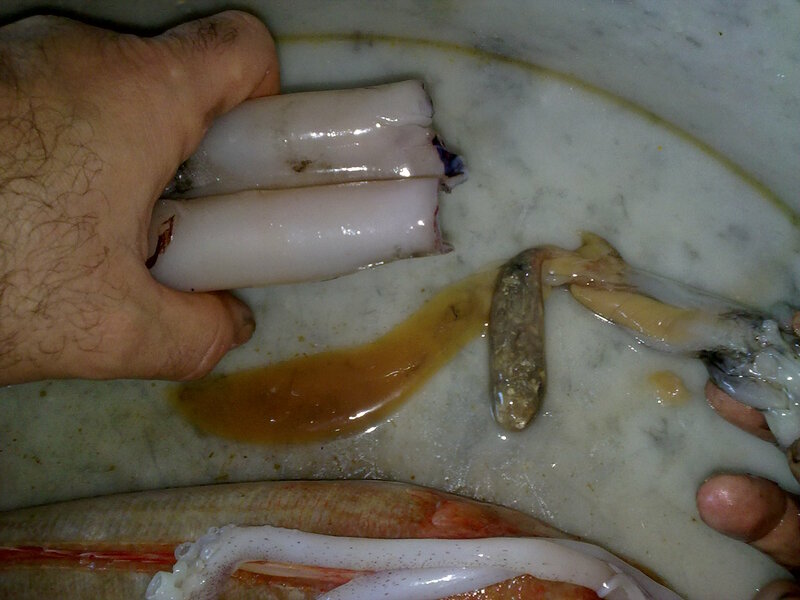 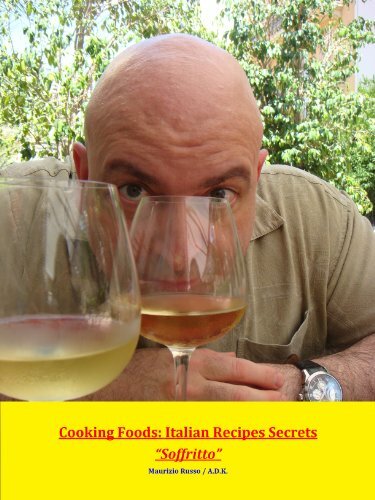 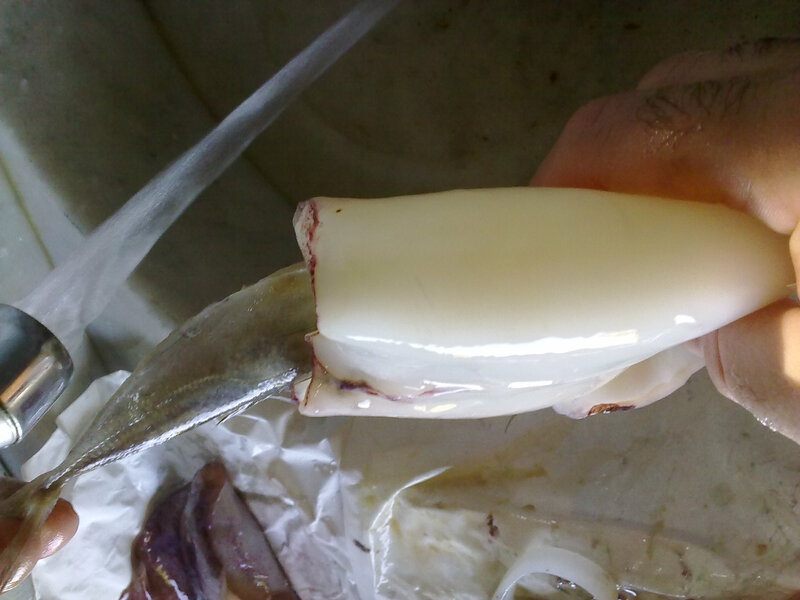 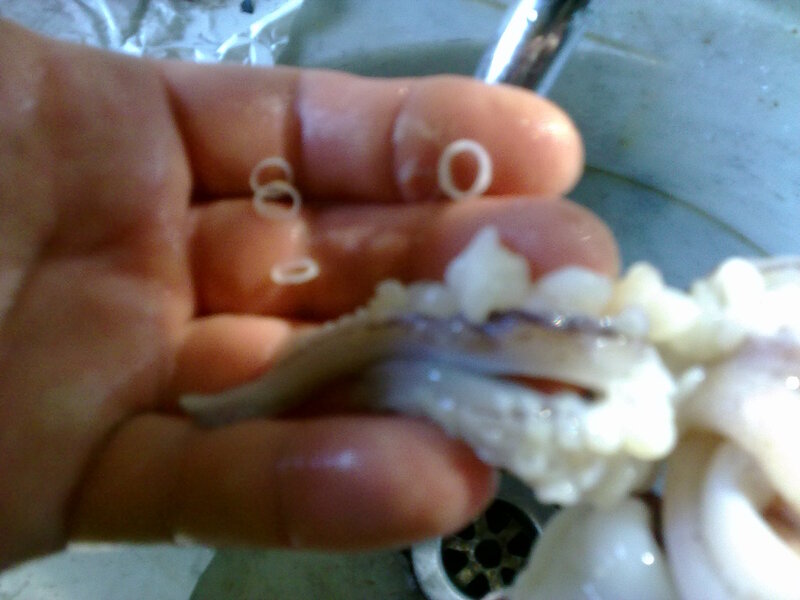 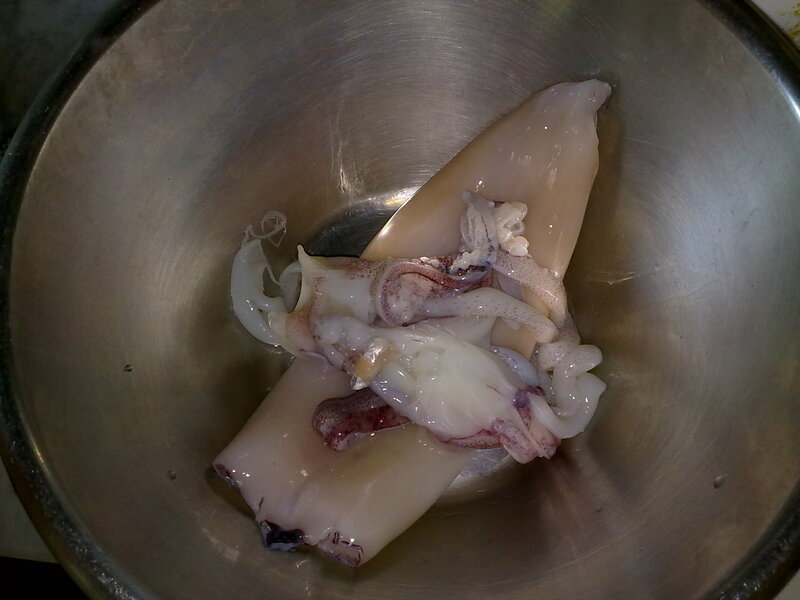 Squid is call Calamaro in Italy, where are two different quality: “Calamaro” and “Totano”; today let see how to clean “Calamaro” the process is similar also for “Totano” & “Sepia”(Cuttlefish). 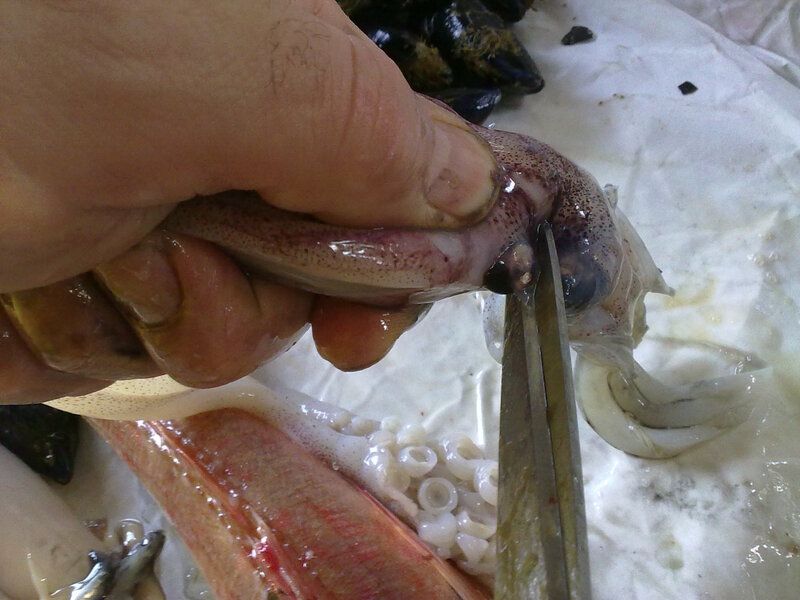 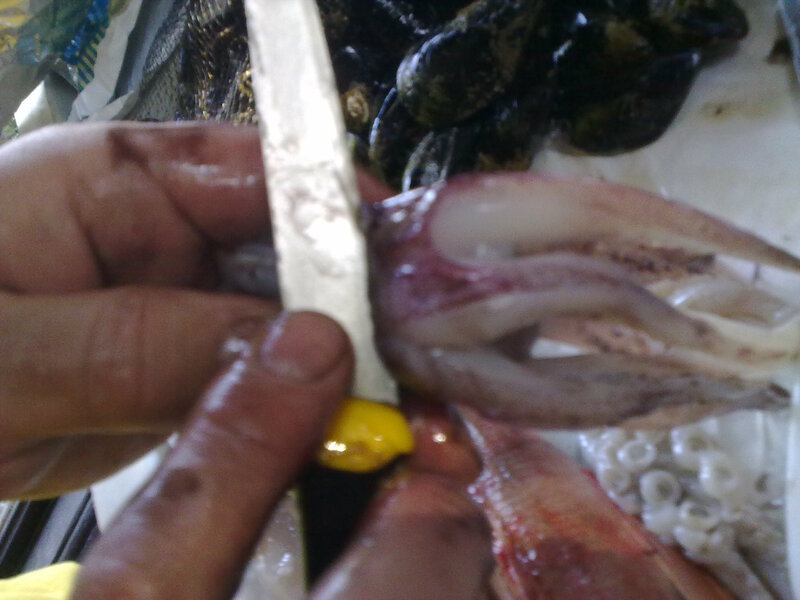 I show you how to clean the Squid without break the head, whole head is needed in some preparations like Stuffed Squid and Fried Squid Rings, if you don’t need the whole head you can cut with a scissor or a knife the size you like for other preparations. 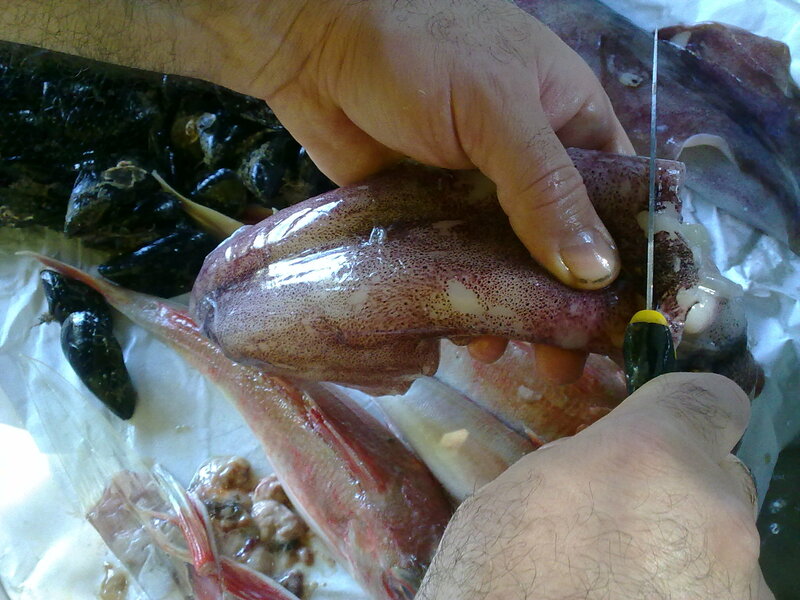 disconnect the internal organs from the legs, internal organs will be wasted, only for certain special preparation we will keep the black ink which is stronghly tasty! but not today…..
let’s go to cut theeyes out: using a scissor (or a knife) cut each eye in the middle, with kindness or you will be spray by the eye humor! 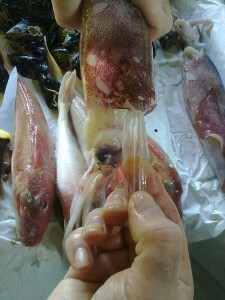 you will easily find the mouth: it is same as a parrot beak! 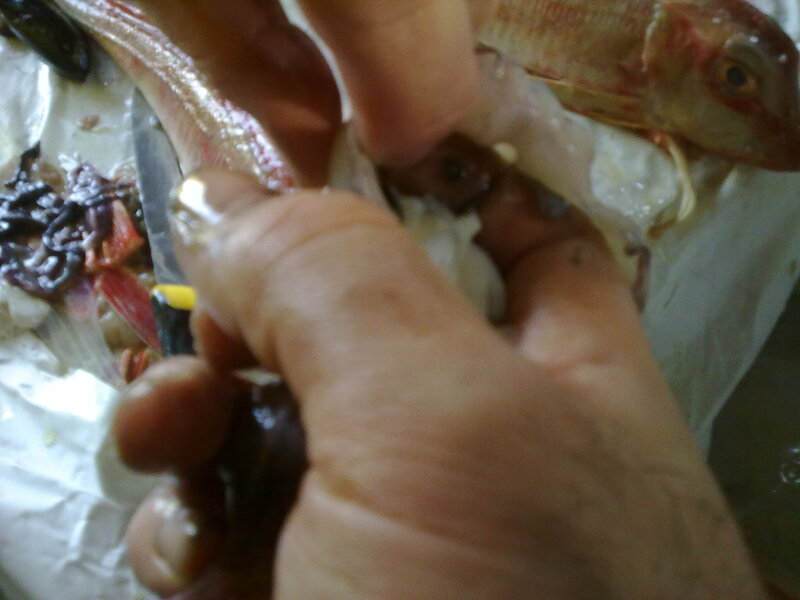 if some skin is too resistent let it in place, doesn’t matter! 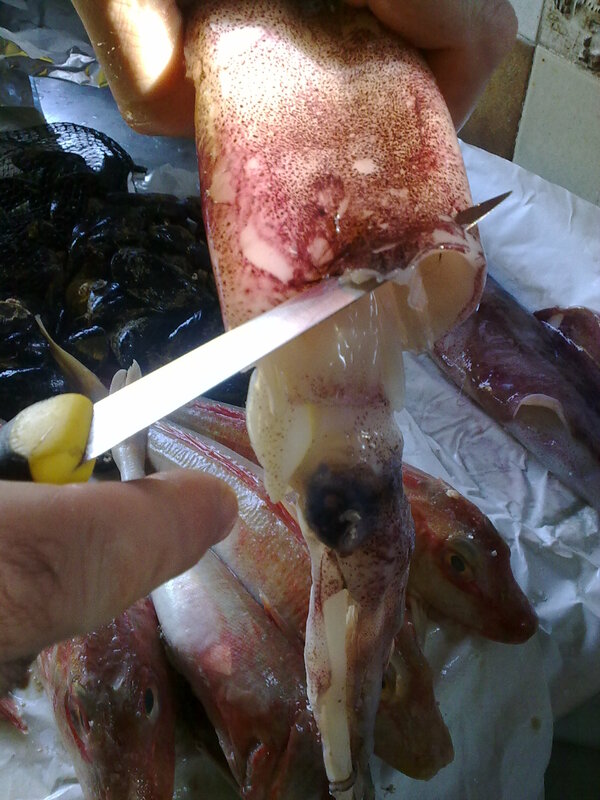 wash well also the head…but still something inside …. ….a fish! this is a selling trick by the Fisherman! 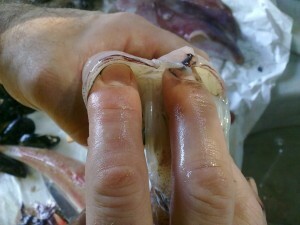 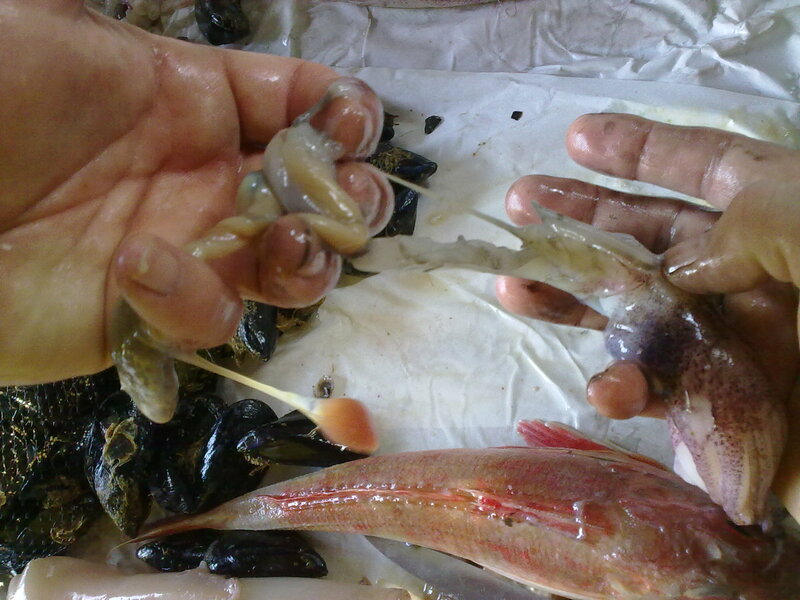 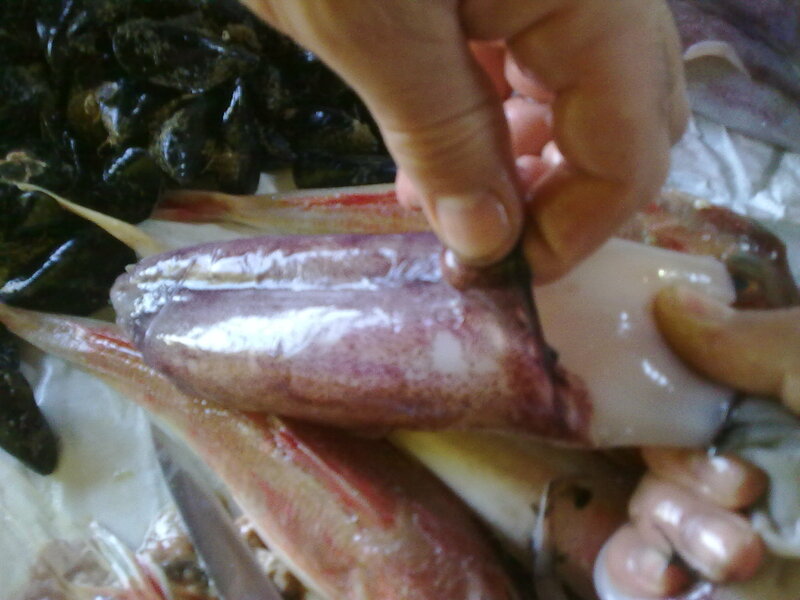 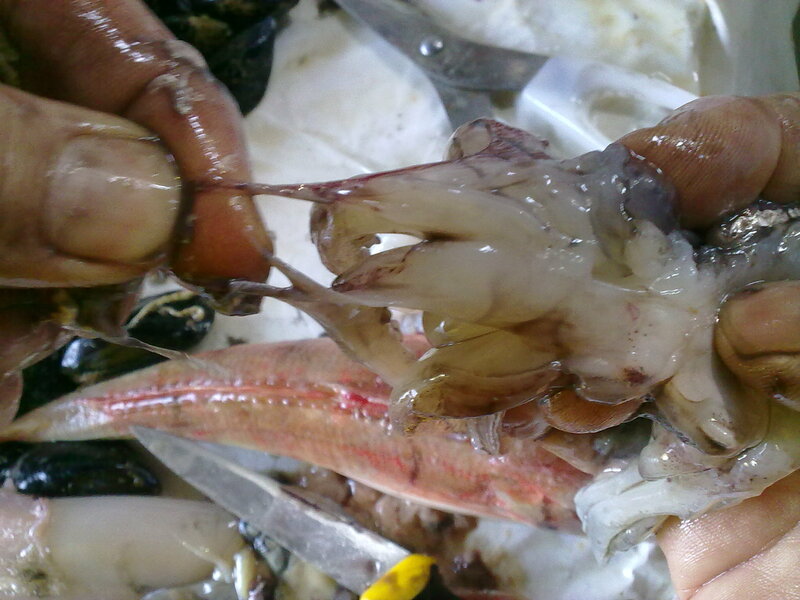 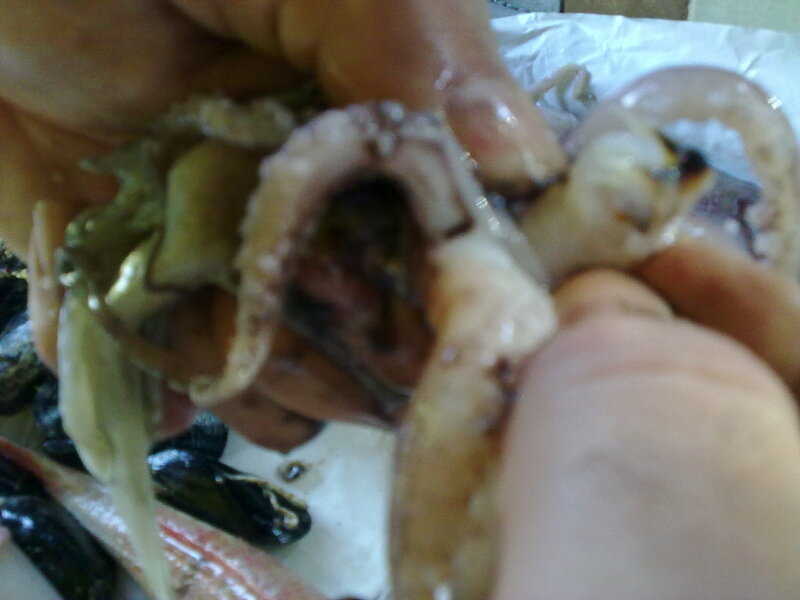 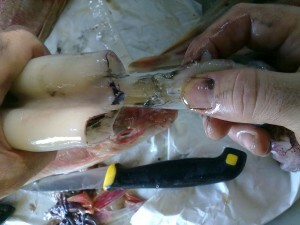 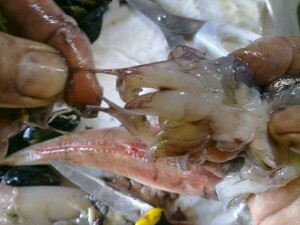 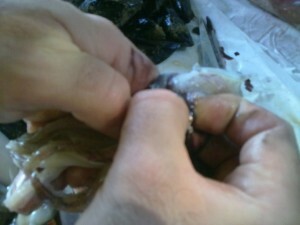 check inside with the fingers, clean well and wash.
here your Squid is ready to be cooked!